This new swim spa is a great economical option for complete swim spa experience. 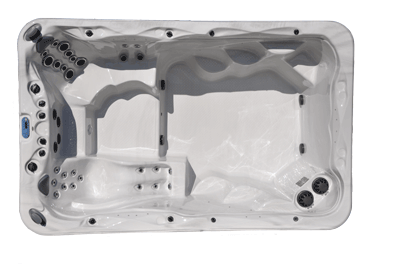 This swim spa has it all, great looks, ergonomics, plenty of swim area, LED lighting, and Bluetooth audio with pop up speakers. Add the optional tether and exercise equipment and it becomes complete home fitness system and hot tub all in one.